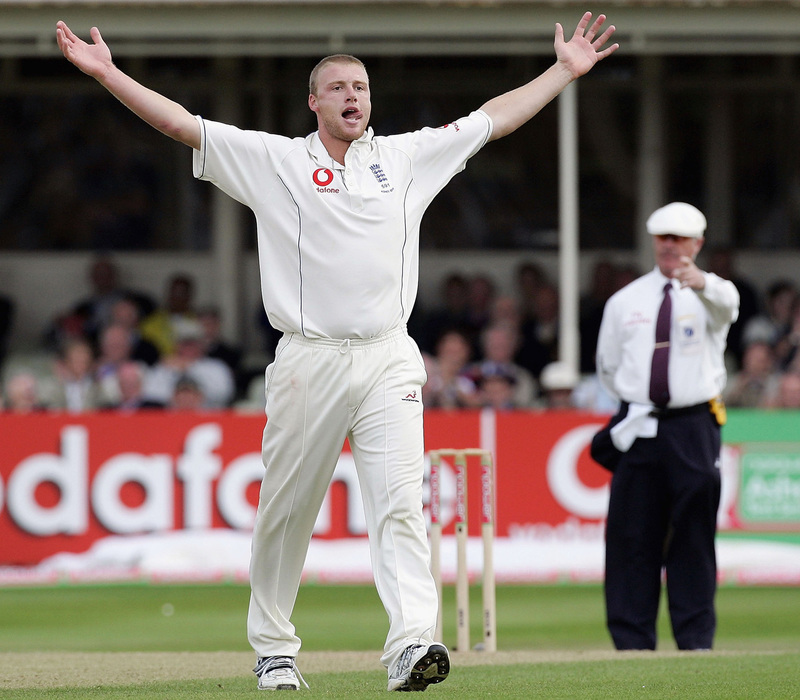 Edgbaston 2005: Flintoff's finest hour? In the April 2017 Cricket Monthly, we look at how England learned to conquer their suspicion of reverse swing and make it their own. The author of that piece picks five peak moments in the history of English reverse swing. "To get in there early and find the ball reverse-swinging in the 13th over was something you don't see every day," said Ricky Ponting, one of the two victims in the most memorable over in Flintoff's career. England's talisman that series had an inkling something was up: the first ball of his over, around the wicket to Justin Langer, threatened to take the edge, reversing a touch away from the left-hander. When he tried to repeat the delivery, there was no movement and the ball went off Langer's elbow onto the stumps. Ponting was up next and Flintoff moved back over the wicket and tried to get the ball swinging late and into the pads. The first was too high, the second edged low to gully, the third outside the line. For what should have been the final ball of the over, Flintoff turned the ball around to surprise Ponting with away movement. But the ball was off line, and so was the bowler's front foot. The seventh ball, wider on the crease, was perfect. Ponting, feet nowhere, had to play. Geraint Jones took the catch. Flintoff stood proud. Galle is not normally kind to fast bowlers. The pitch is slow and flat, the weather punishingly hot. But get the ball to reverse and you're on to something, especially with the variable bounce of the older ball. Two Jayawardenes, Mahela and Prasanna, were frustrating England with a fifth-wicket crawl when, in the 58th over of the innings, a hint of reverse was detected. Anderson returned for a third spell in the 62nd and promptly removed Prasanna with a delivery that trapped him on the crease. Anderson would go on to bowl dry, have chances dropped off him, and still finish with 5 for 72. It may not be widely renowned as one of his greatest spells but it was an important one for him personally, as it marked his coming of age as a reverse-swing bowler. "That was probably the first time I felt I enjoyed bowling in those conditions," he said. Later that year, he would go on to thrive in a two-man seam attack that helped England win their first series in India for 28 years. Australia had been snuffed out for 98 in the first innings, allowing England to amass a lead of 415. But the hosts' second go was more fruitful; they reached 99 for 1 on day three. Enter Bresnan. His opening spell of seven overs had yielded five maidens but no wickets, but with the ball showing signs of reverse, he came back after lunch and took three big wickets in the space of 18 balls, while conceding just two runs. Shane Watson, having left a delivery outside off stump earlier in the over, did so again on the final ball, only for it to tail in late and trap him lbw. Ponting was the next to go, when the ball snuck between bat and pad onto his stumps, via an inside edge off an attempted drive. Mike Hussey, beaten by Bresnan from over the wicket, then thought he had one to drive but failed to counter the late movement away from him. In going through with the shot, he hit the ball in the air, straight to Ian Bell at short cover. From 99 for 1 to 104 for 4. Unlike the majority of English bowlers, Finn took naturally to reverse swing. 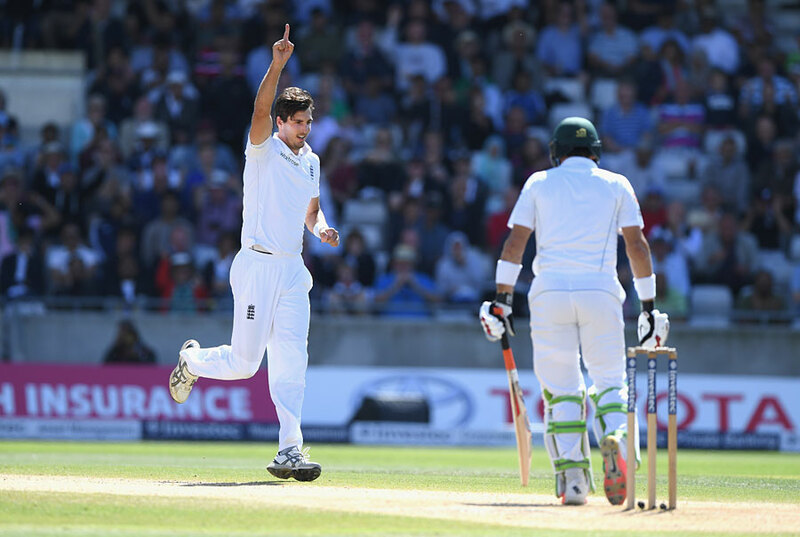 During the Edgbaston Test last summer, bowling in tandem with Chris Woakes, he played a vital part in a 23-ball period in which Pakistan lost four wickets for just one run, just as they looked set to give their fourth-innings target of 343 a good go. The first of the two was Misbah-ul-Haq, caught behind, fooled into going hard at a full ball that moved away late. That ended Finn's 429-ball wicket drought. The second was Hollywood stuff. Left-hand opener Sami Aslam was at ease, leading the chase with 70 before Finn came around the wicket and got one to move sharply back into the off stump, just as Aslam chose to launch into a picture-perfect leave. As part of what Stokes described as his "most mature display yet", he started the third morning in Chittagong with a three-wicket spell that shut down the Bangladesh first innings. His six overs illustrated three key facets of England's reverse-swing plans: a knee-roll length that caught Mehedi Hasan walking across his stumps; an outside edge off Sabbir Rahman, who was focused on the one coming into him; and a classic "nip-backer" that fooled Kamrul Islam Rabbi into leaving outside off stump. A 45-run first-innings lead would prove decisive - England won by 22 - and Stokes thanked his supporting cast for the relentless work and impeccable ball management: "Joe Root has been non-stop in keeping the smooth side smooth and shiny and making sure the other side is as dry as possible. It's tough to tell the spinners to keep their hands off with the amount of bowling they are doing, but they did a really good job."